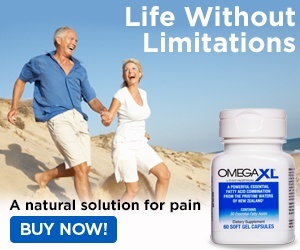 Jun 26, 2015 Thank you for your feedback concerning Omega XL. We value your business. Should you need any additional service, please contact our Customer Service Department at 1-800-488-8082. I was diagnosed with Lyme's disease a few.years ago. All my joints ached all the time, worse in the rain.Also have arthritis. A friend of mine told me about your product. I watched the video on how Omega XL is harvested. I was still skeptical, but thought what did I have to lose. I was already taking.generic fish oil anyway. I followed the directions exactly.... Almost a year later... My joints ate no longer achey. Arthritis is so much better. Review #582740 is a subjective opinion of User582740.